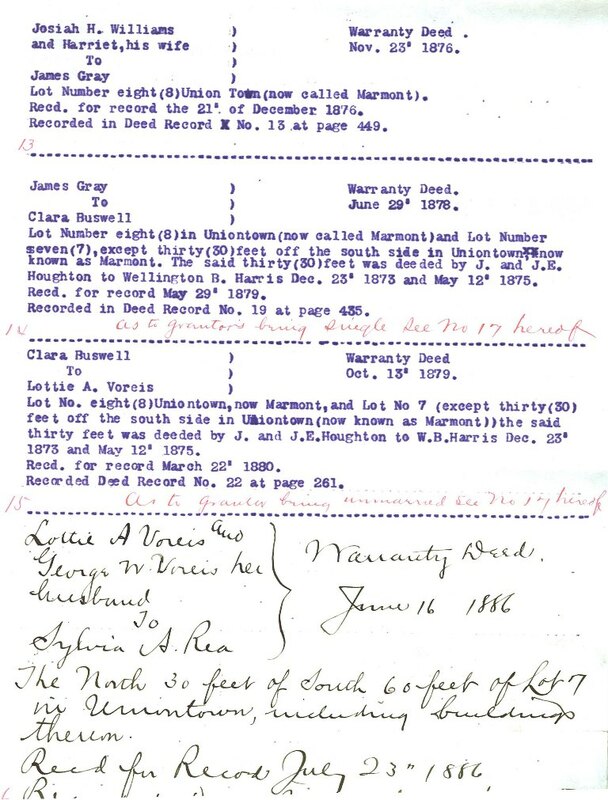 Library director Carol Jackson opened up the library's safe long enough for us to scan several extremely historical documents that speak not only to the early history of the library itself, but the Culver community as a whole. 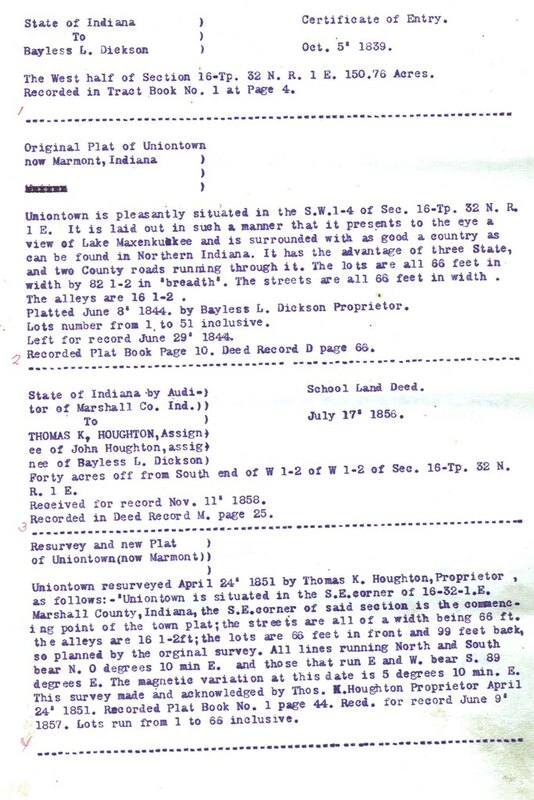 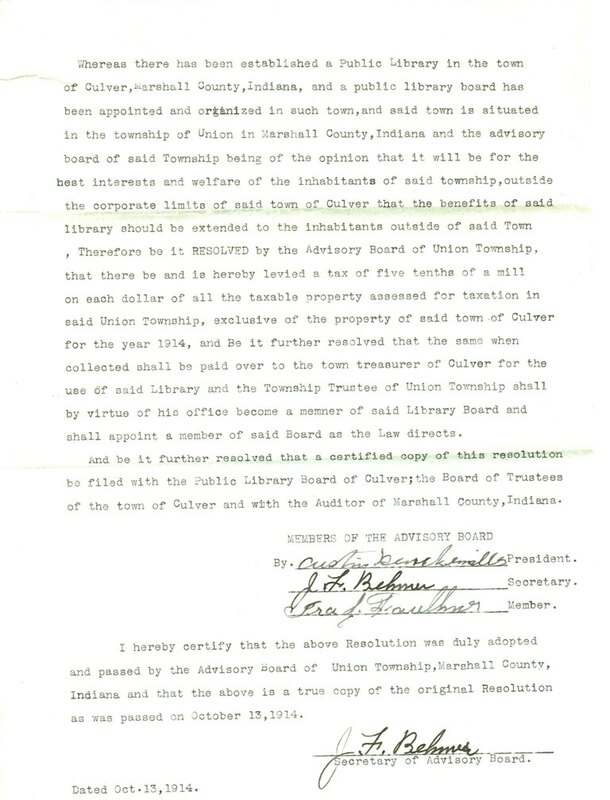 Included is the full text of the (22-page) land abstract for the tract on which the library was built, beginning in the 1850s and going up to 1914, when the land was formally purchased for library use. 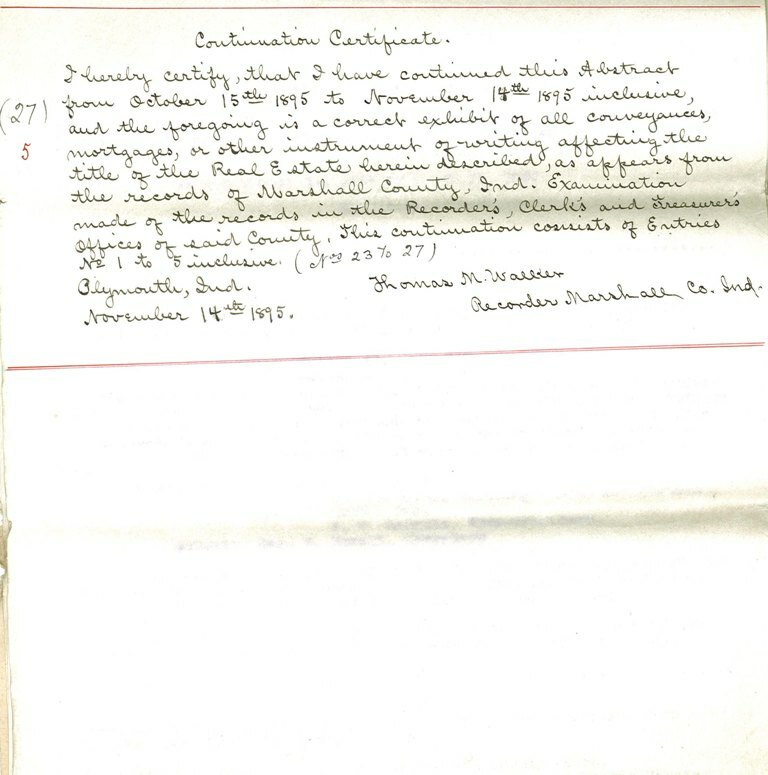 There are also several very early documents pertinent to the formation of the library in 1914 and leading up to its construction and opening in 1915. 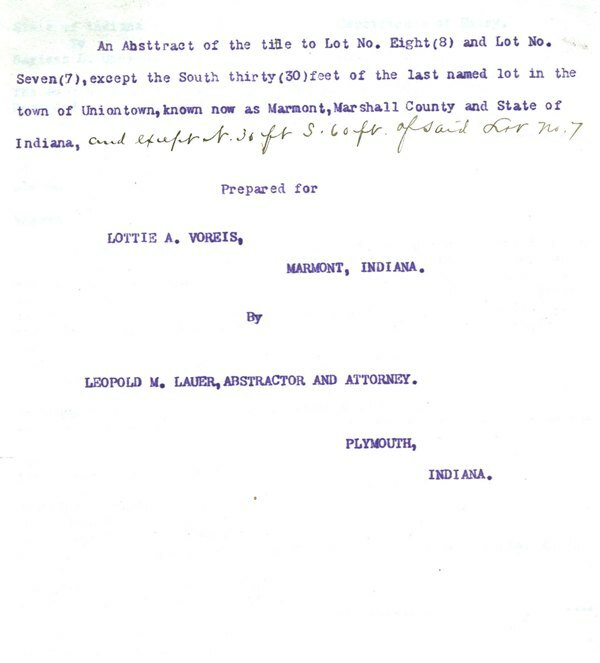 The land abstract for the library, beginning in the 1850s and leading up to the 1914 formation of the library -- a fascinating read! 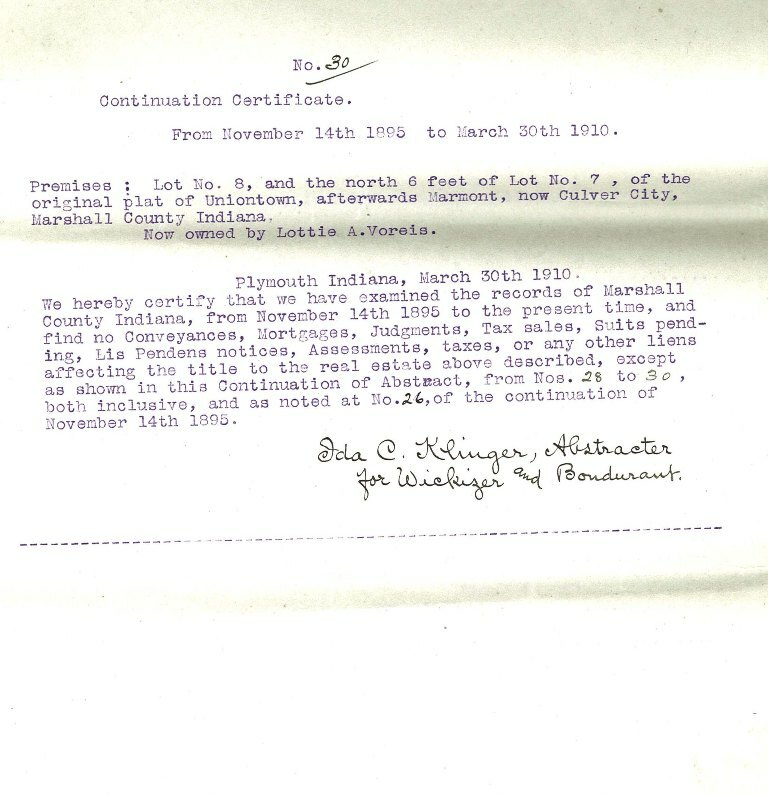 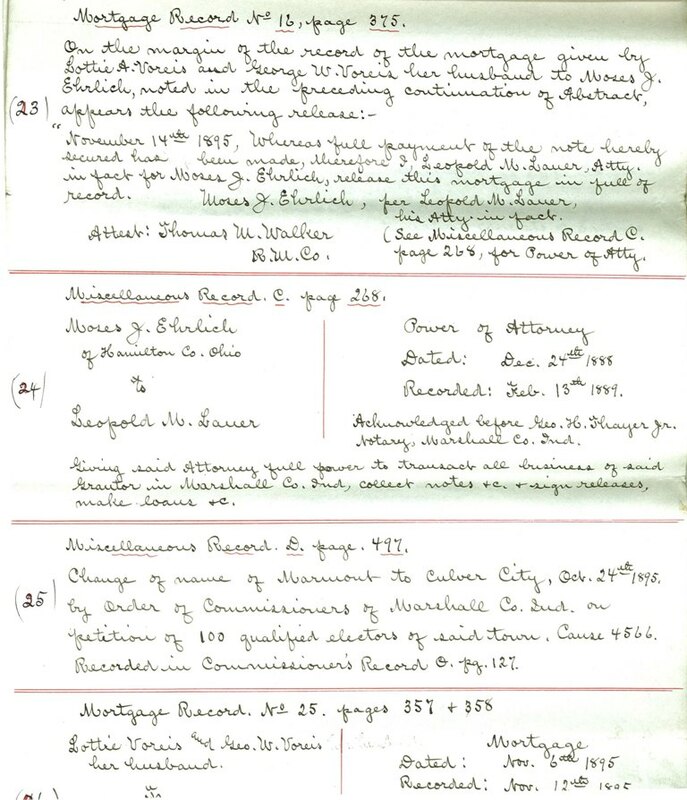 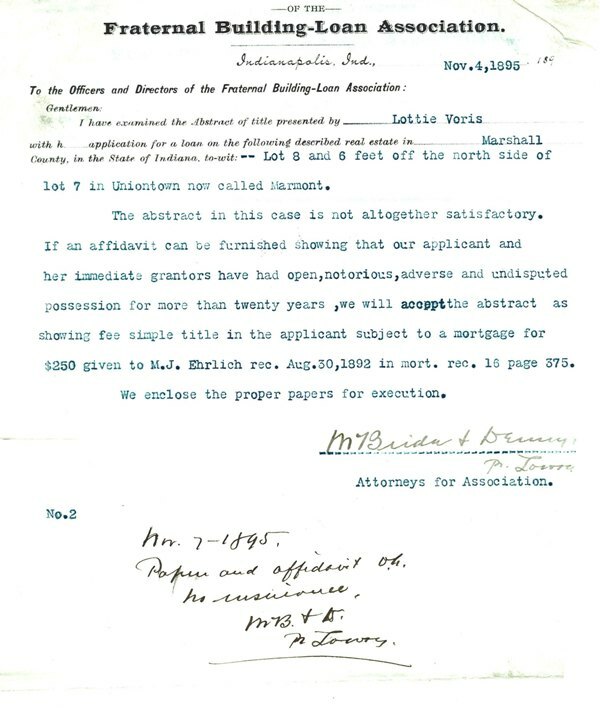 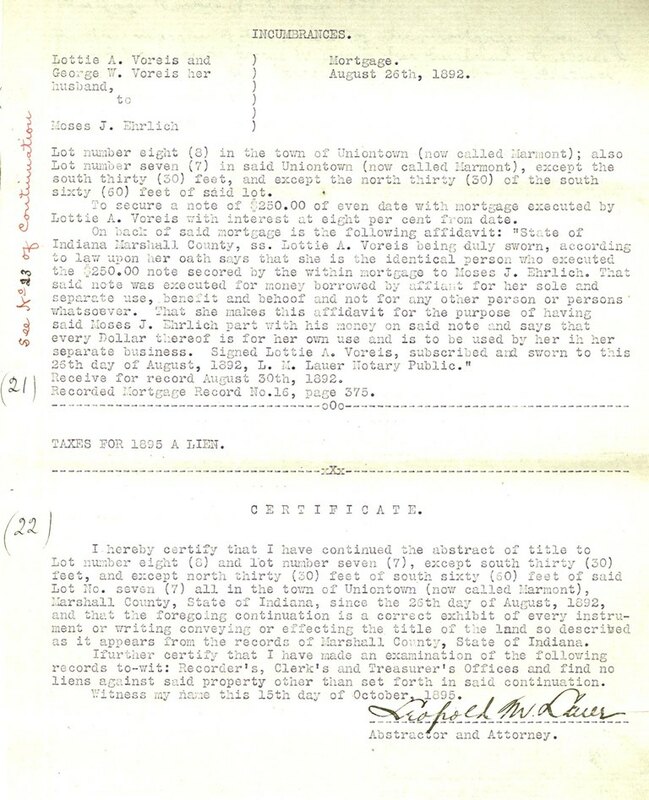 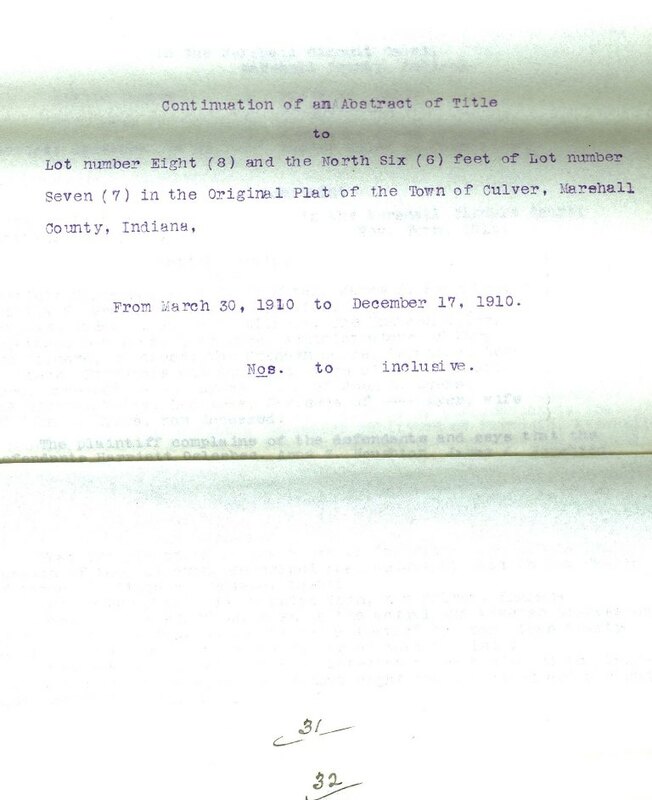 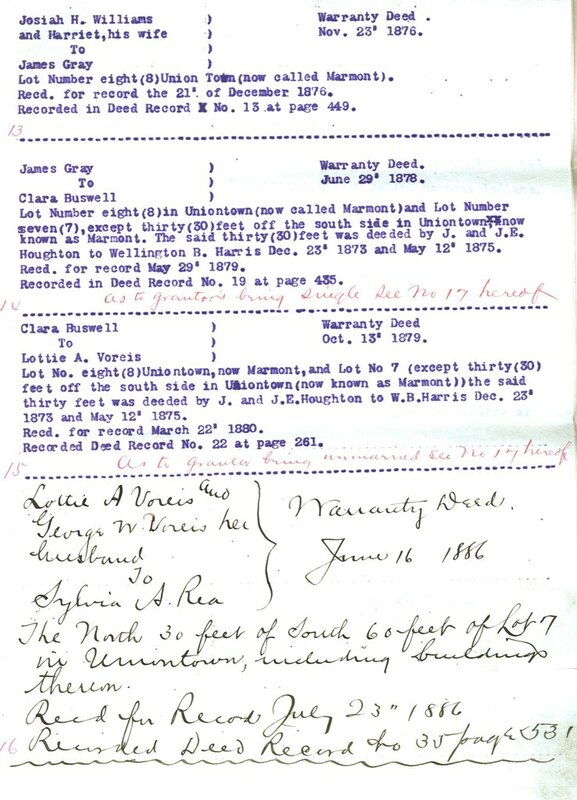 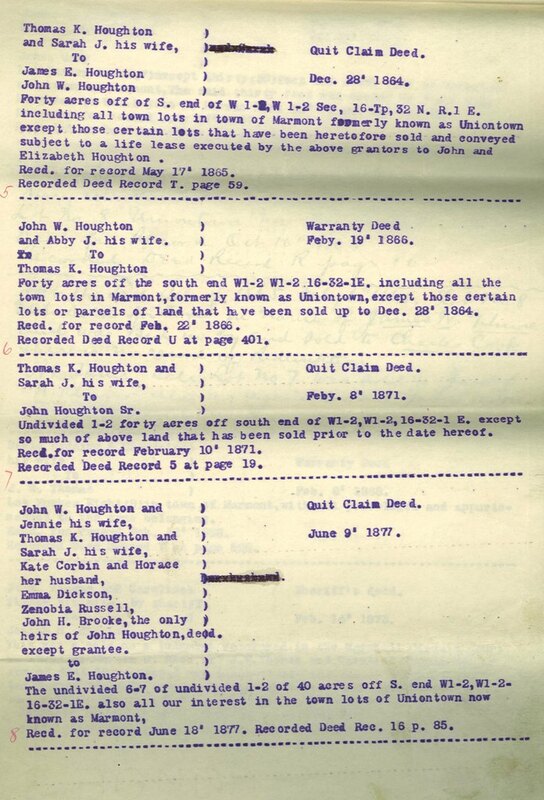 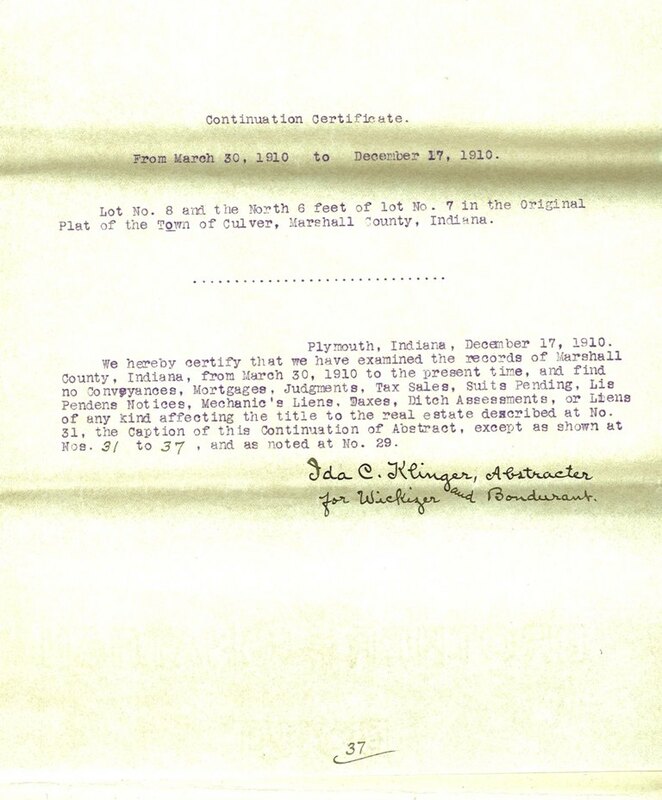 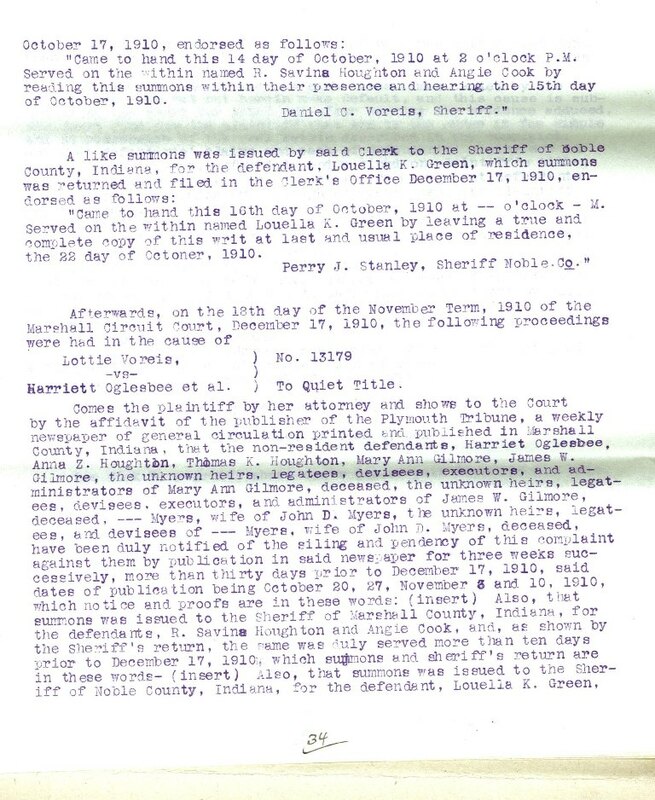 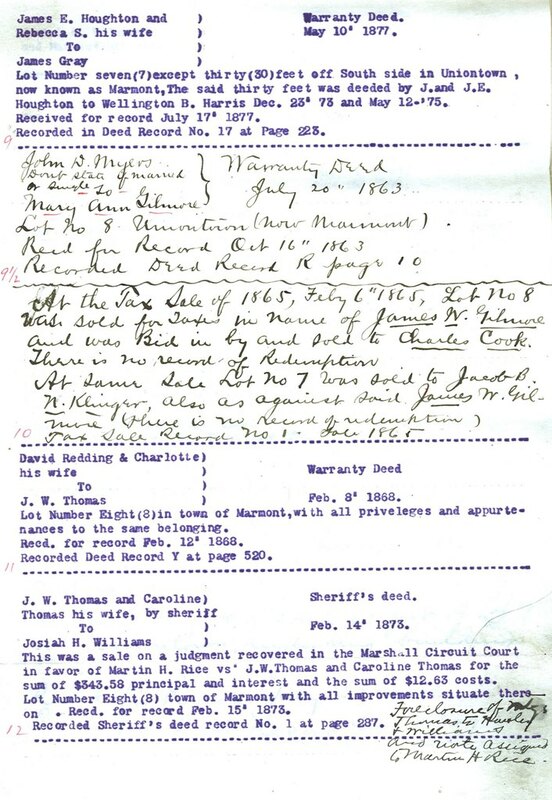 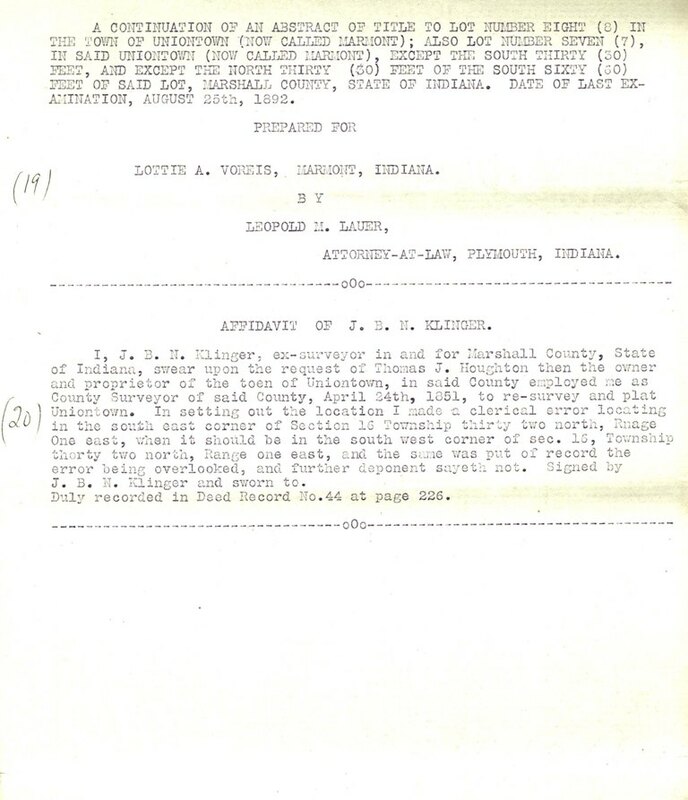 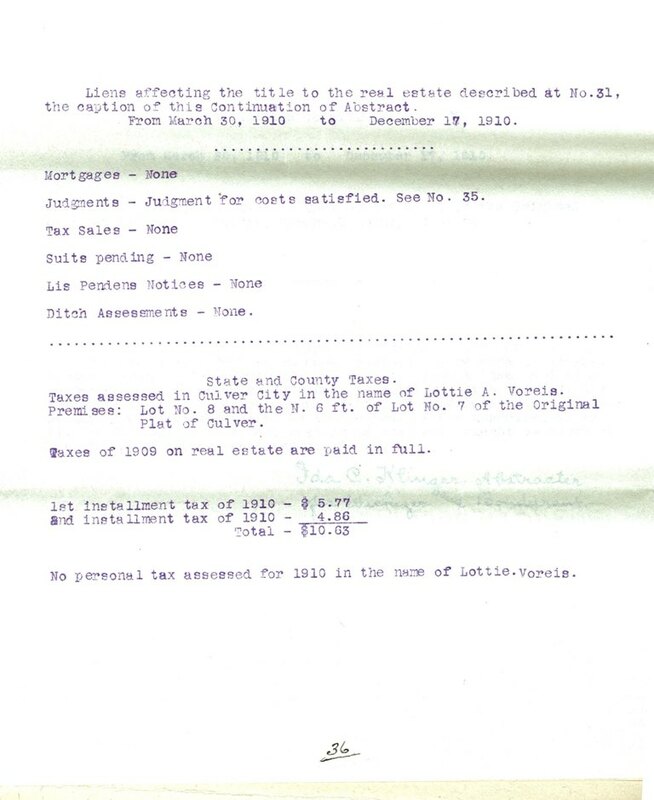 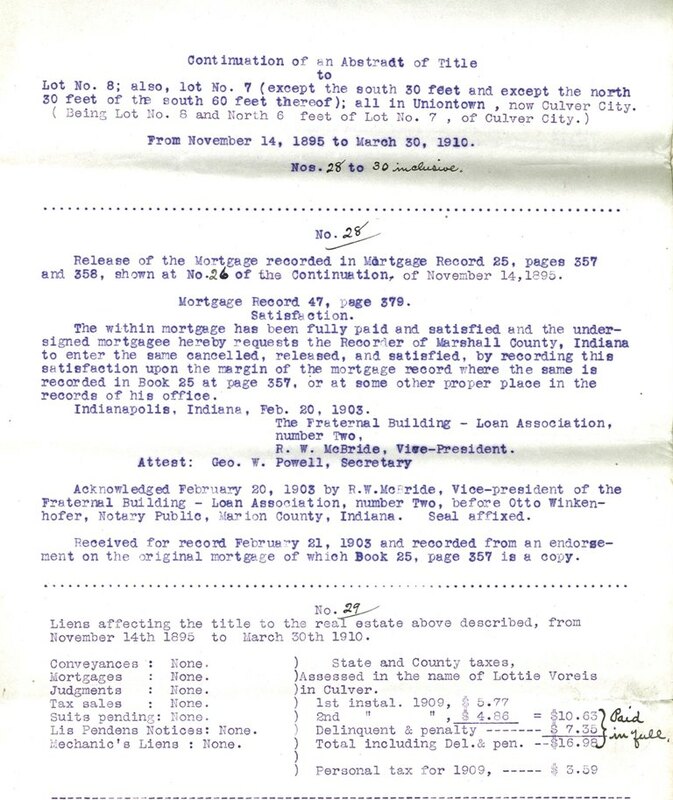 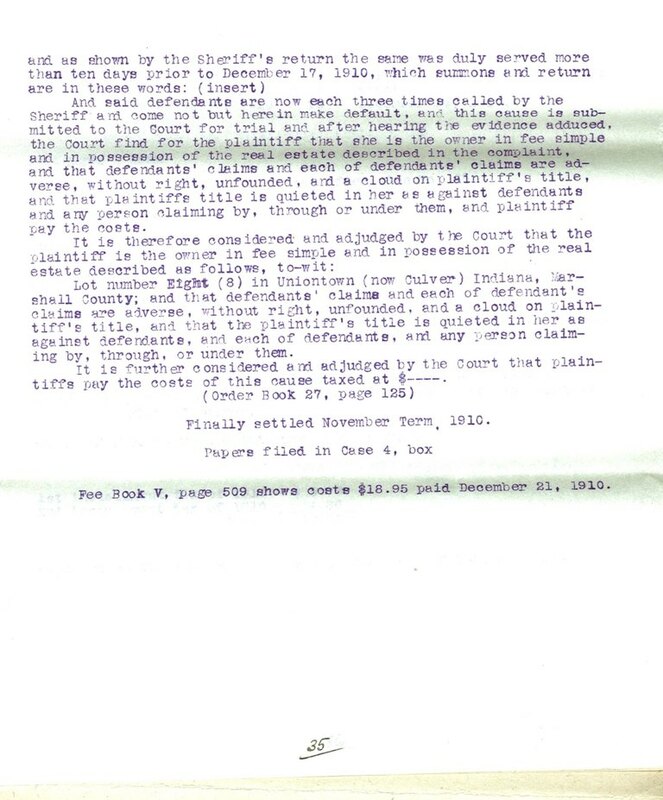 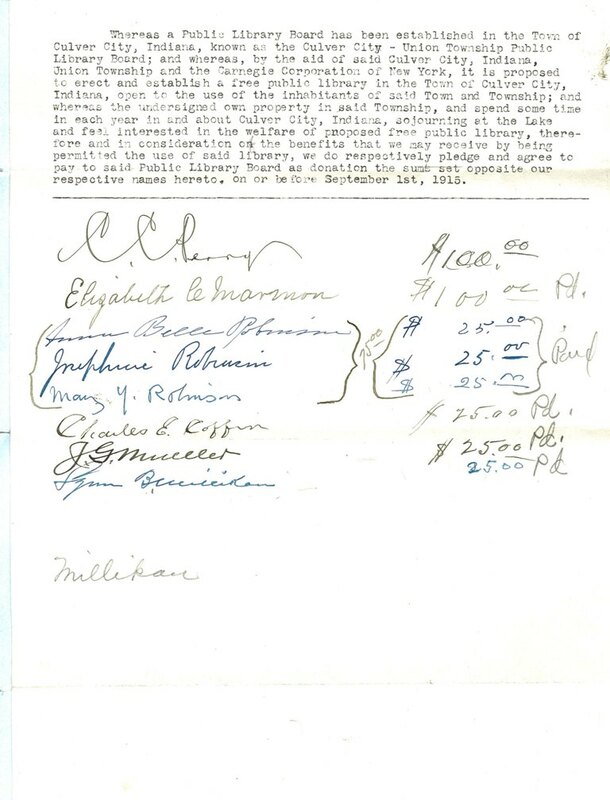 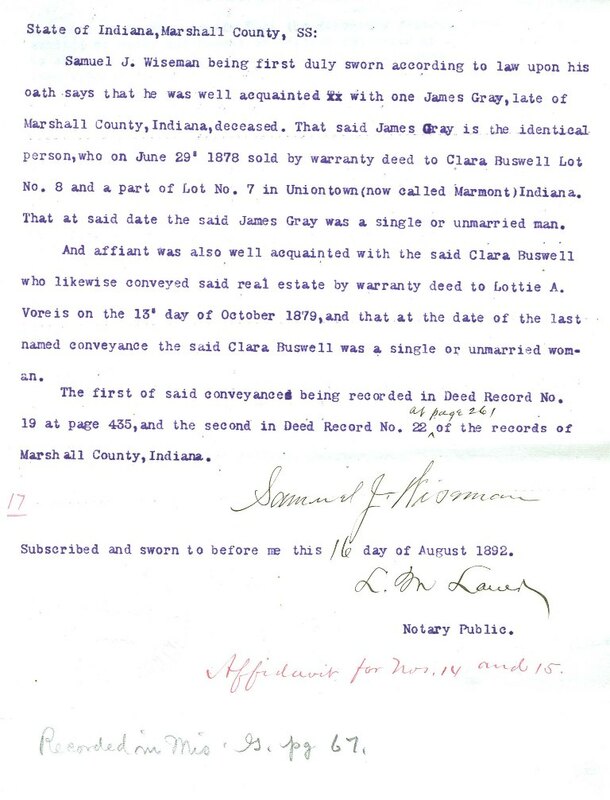 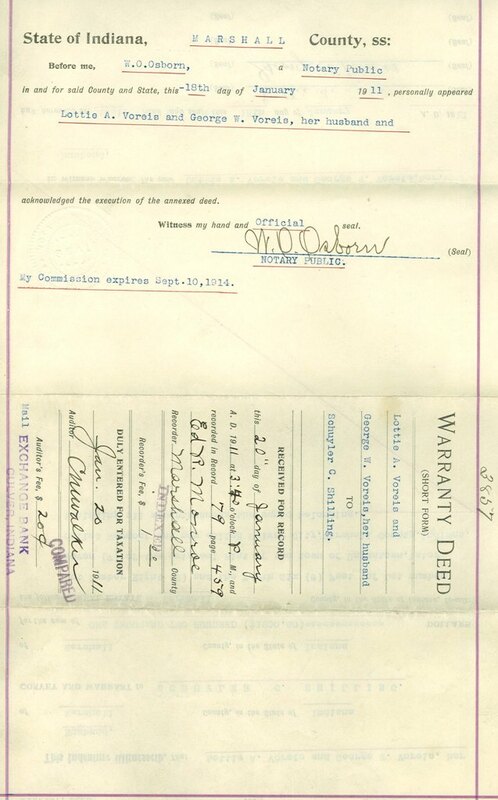 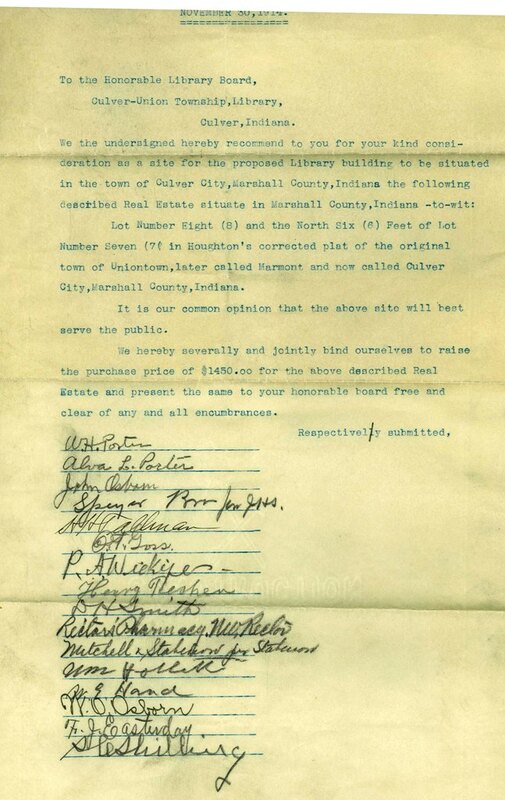 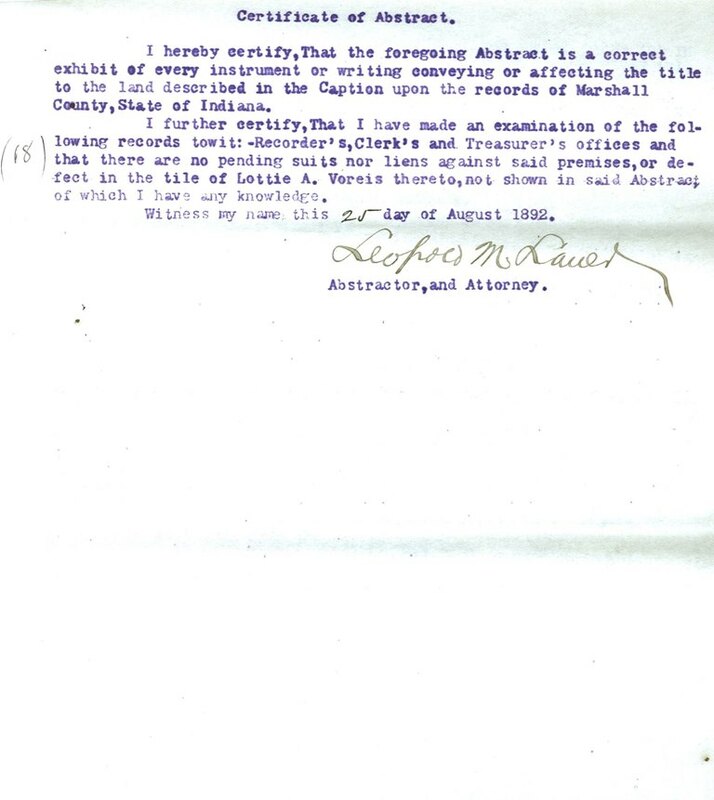 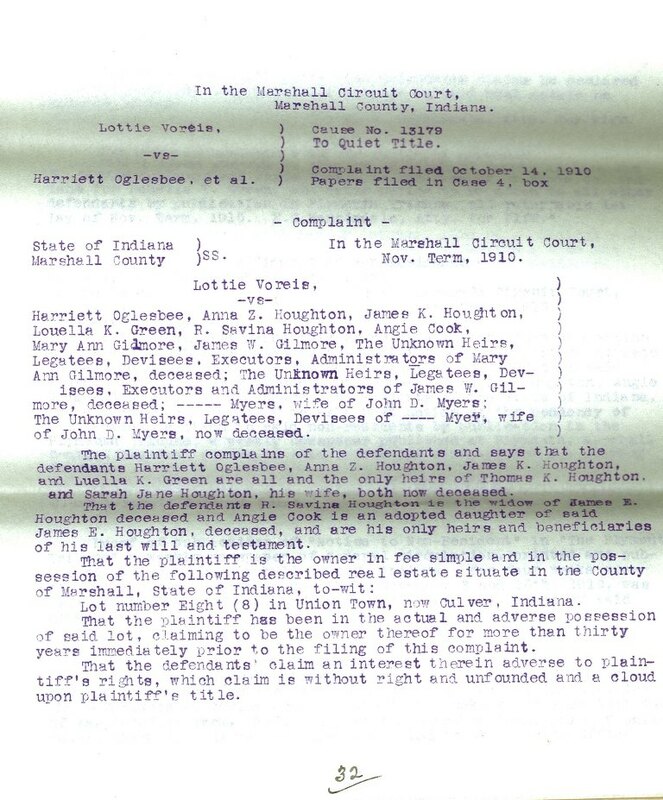 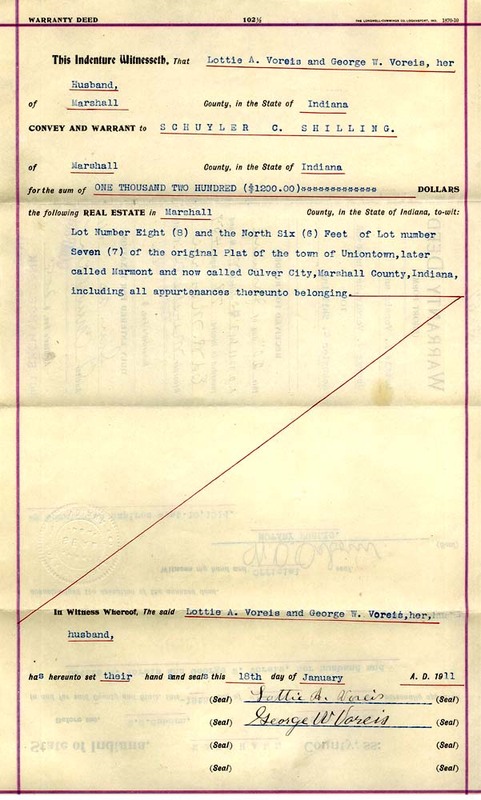 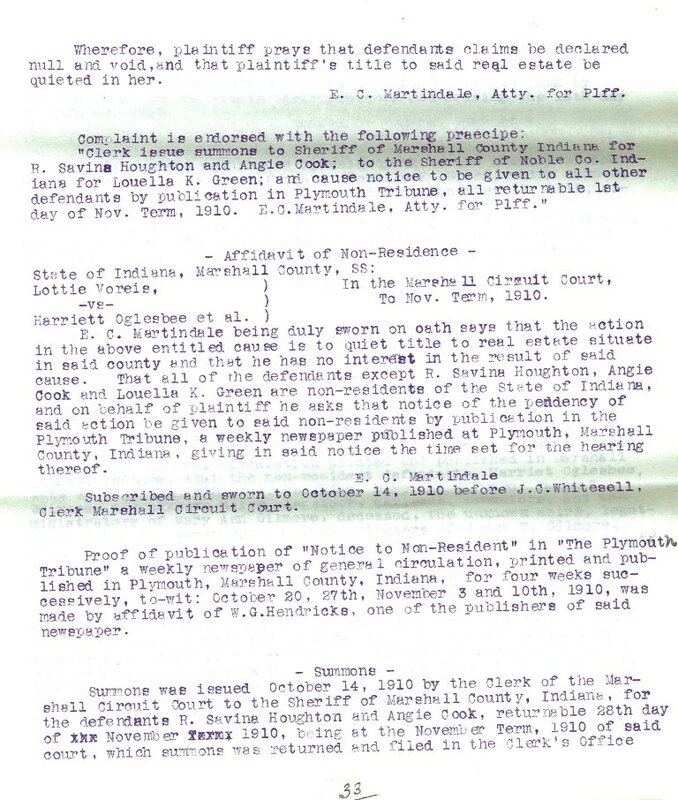 Below: The 1911 warranty deed for the library's land, pages 1 and 2, and various other documents.